When it comes to all the things you can do in Monterey, there are plenty of sightseeing opportunities and outdoor adventures that are awaiting you. Whether you are looking for something for the whole family or maybe instead a romantic experience for two, Monterey can deliver. 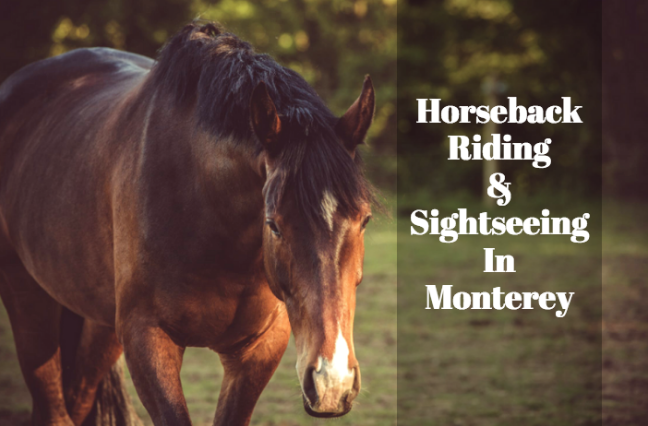 One exciting option is Monterey bay horseback riding. Whether you are an experienced rider or have never been on a horse before, this can be a fun and memorable experience for all to enjoy. Stay at ramada unlimited and enjoy affordable rates. The Pebble Beach Equestrian Center has been around since 1919. Over the years, it has established itself as a professional and experienced horseback riding center. In addition to providing riding lessons and pony rides for the local community, it also offers various trail rides to locals and visitors from around the world. During these guided trails, you’ll have experienced horse riders with you as you explore the beautiful surrounding area while going on a horse ride. They offer a variety of trail experiences including a trail ride along pebble beach, a private and romantic coastal ride, a family forest ride, private forest rides and even offers corporate ride events! Children as young as 7 years old can enjoy certain trail rides. Since 1981, Monterey Bay Equestrian has proudly been serving the Monterey Bay area providing exciting horseback riding adventures for riders and couples from both near and far. At Monterey Bay Equestrian, one of the most popular options is the horseback ride on the beach. Accommodating riders of at least 7 years old, this can be a fun adventure for the whole family or a romantic ride for two. Rides are also tailored to the ability of the rider, accommodation all levels from beginners to advanced. The company also offers horse drawn carriages for a number of different occasions. From a carriage for two to one that carries up to 12, all vehicles are well maintained and drivers can be dressed in western attire or turn of the century tuxedo and top hat. Visit the website for more information.